Bethesda, Md., 2017-May-01 — /Travel PR News/ — Marriott Rewards and Starwood Preferred Guest (SPG) took home a combined 10 awards last night, at the 29th annual Freddie Awards, including Promotion of the Year for “Day 1 Linking of Accounts,” and Program of the Year. Marriott International’s trio of loyalty programs, Marriott Rewards which includes The Ritz-Carlton Rewards and SPG have won an astounding 60+ Freddie Awards combined over the past ten years. 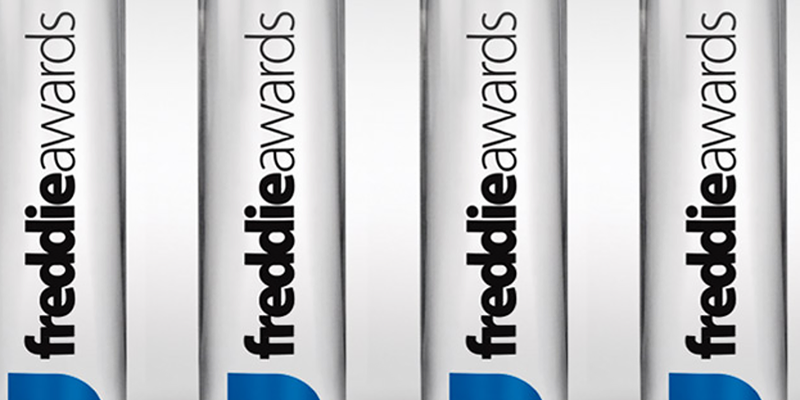 The Freddie Awards are the most prestigious member-generated awards in the travel loyalty industry, recognizing excellence in frequent travel programs annually. This year, 25 million ballots were cast across all categories. The expansion of SPG Moments and the Marriott Rewards Experiences Marketplace which offered once-in-a-lifetime culinary, music, sports and lifestyle experiences. This past March, Marriott announced an investment in PlacePass, a pioneering provider of local travel experiences, offering all guests an opportunity to personalize their trips with authentic excursions. In February 2016, Marriott Rewards revealed a redesigned mobile app, to meet the needs of modern world travelers with Mobile Check-in and Checkout, Mobile Requests, the introduction of Mobile Key and more. In the last year, SPG announced the next generation of SPG Keyless, expanding keyless entry to more properties and multiple guests. Marriott International, Inc. (NASDAQ: MAR) is based in Bethesda, Maryland, USA, and encompasses a portfolio of more than 6,000 properties in 30 leading hotel brands spanning 122 countries and territories. Marriott operates and franchises hotels and licenses vacation ownership resorts all around the world. The company also operates award-winning loyalty programs: Marriott Rewards®, which includes The Ritz-Carlton Rewards®, and Starwood Preferred Guest®. For more information, please visit our website at www.marriott.com, and for the latest company news, visit www.marriottnewscenter.com. In addition, connect with us on Facebook and @MarriottIntl on Twitter and Instagram. Marriott International’s award-winning loyalty program – Marriott Rewards – spans 18 unique and iconic global brands and over 4,300 distinctive properties. Members of Marriott Rewards® – which includes The Ritz-Carlton Rewards® – can link their accounts with Starwood Preferred Guest® at members.marriott.com for expanded benefits including instant elite status matching and unlimited points transfer across portfolios. When members book their stays on Marriott.com or the Marriott Mobile app, they earn loyalty points, enjoy the advantage of exclusive Member Rates, our lowest available rates, and gain an elevated stay experience with free Wi-Fi, mobile check-in and checkout, and Mobile Service Requests wherever available. The hugely popular Marriott Rewards has won the Freddie Award for “Hotel Program of the Year–Americas” nine consecutive years as chosen by frequent travelers. Marriott Rewards is free to join and has no blackout dates. To enroll and for more information about the program, guests may visit. Connect with Marriott Rewards on Facebook, Twitter and Instagram. This entry was posted in Business, Festivals and Events, Hospitality, Hotels, Luxury, News, Resorts, Society, Tourism, Travel, Travel Awards, Travel Services, Travel Tips & Info, Travelers and tagged Best Hotel Redemption Ability, David Flueck, Freddie Awards, Marriott International, Marriott Rewards, Program of the year, Starwood Preferred Guest, The Ritz-Carlton Rewards. Bookmark the permalink.